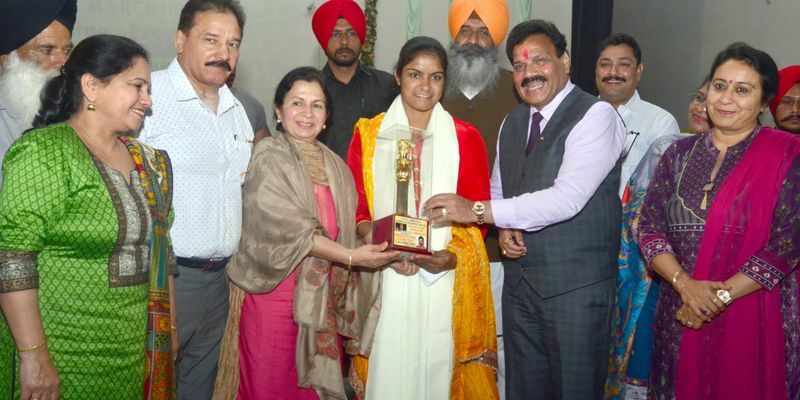 Reigning Asian Champion Navjot Kaur jumped to World No. 2 spot in the women's 65kg category in the latest update in the rankings that were released by the United World Wrestling. Kaur recently became the first Indian woman to win a Gold medal at the Asian Championship in Bishkek, Kyrgyzstan. Indian wrestler Navjot Kaur first rose to fame when she won the Bronze medal the 2014 Commonwealth Games in Glasgow. She beat home favorite Sarah Jones of Scotland by a score of 4:0 to claim the Bronze medal at the Games. Kaur recently defeated Imai Miyu of Japan in the final of the Asian Championship in Kyrgyzstan to win the 65kg title, as she became the first Indian woman to achieve the feat. Kaur’s win at the Asian Championship helped her climb up the rankings ladder to number two, a spot behind top-ranked 2015 World Championship silver medallist Petra Olli of Finland. Amongst the men, Vinesh Phogat is ranked number two in the in the 50kg category behind Lei Chun of China. Olympics Bronze medalist Sakshi Malik was ranked at number four with 18 points in the 62 Kg category. Women : Sangeeta Phogat (59kg, 5th rank). Men : Freestyle - Sharvan (61kg, 8), Bajrang Punia (65kg, 4), Rajender Kumar (55kg, 4); Vikram Kurade (63kg, 8), Manish (67 kg, 8), Kuldeep Malik (72 kg, 5), Harpreet Singh (82 kg, 4) and Naveen (130 kg, 8).